Hotel Villa Angela is a small and friendly 4 star boutique hotel in Taormina with only 27 rooms and an intimate atmosphere that makes every guest feel instantly at home. 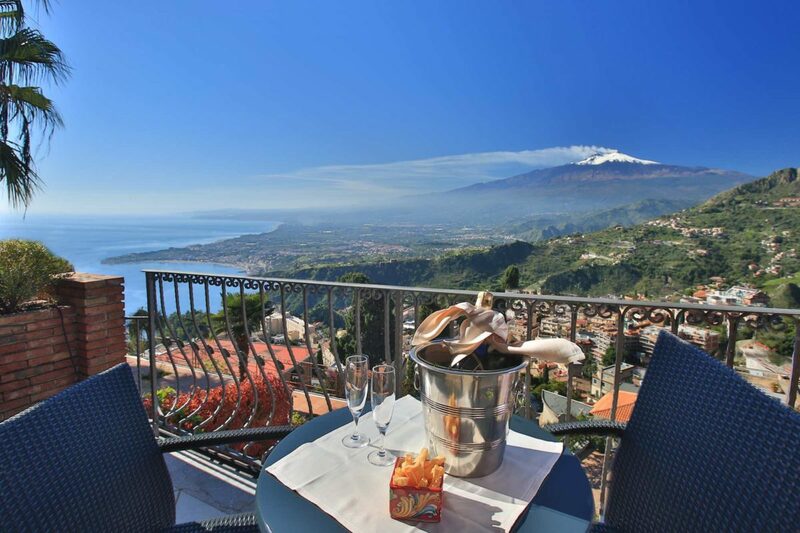 Set in a stunning location above Taormina town centre with a spectacular panorama stretching from the crystal clear waters of the Ionian Sea all the way to the top of magnificent Mount Etna, Europe’s highest active volcano, Villa Angela is a wonderful example of welcoming Sicilian hospitality. 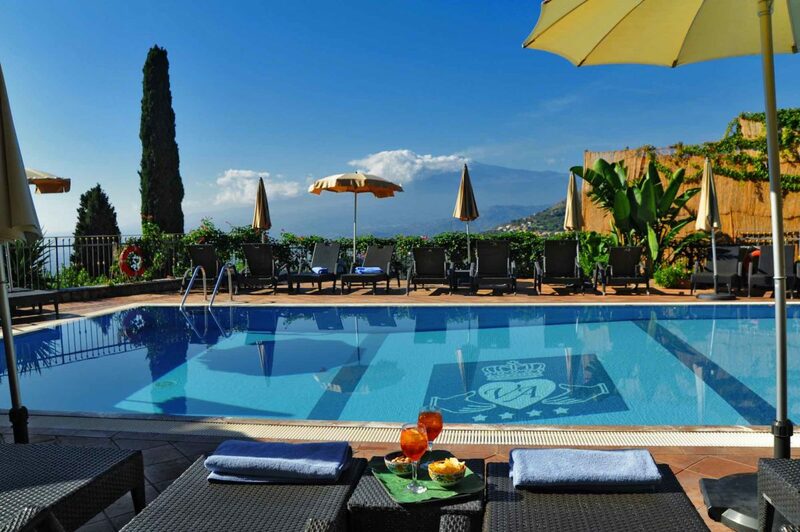 Created by Jim Kerr and open since 2004, it is well known locally that, from day one, the greatest attention to detail has been given in the desire to create a villa with an ambiance befitting its unique position in Taormina and which conveys the real essence of Sicilian life. 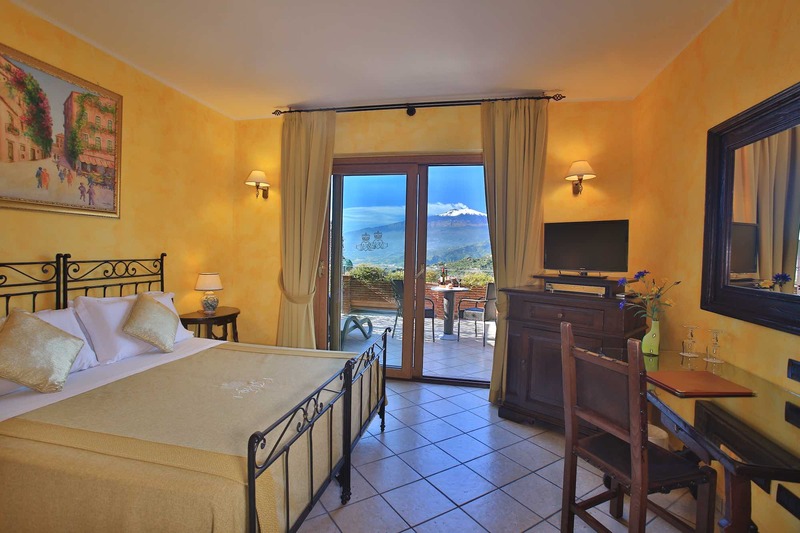 Villa Angela offers an unforgettable vacation in romantic rooms amidst the warmth and hospitality of a splendid Sicilian residence. 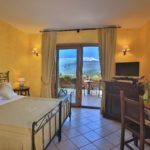 All rooms have free wi-fi, air conditioning/heating, safe, direct dial telephone, flat screen TV, minibar, hairdryer, bathrobes, slippers and courtesy toiletries and spacious furnished balconies with breathtaking views. 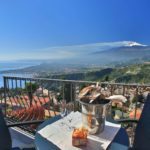 The delicious Sicilian breakfast is served on the shady poolside restaurant terrace overlooking the truly breathtaking panorama of Taormina, Mount Etna and the Ionian coastline. This spectacular setting is complemented by a variety of Mediterranean flora – lemon, orange, olive and carob trees and night blooming jasmine, famous for its perfume. 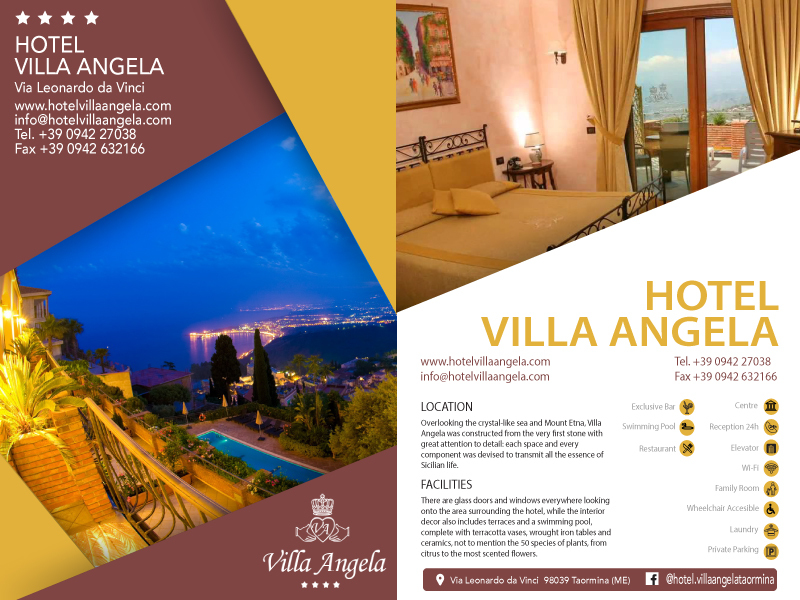 We are confident that Hotel Villa Angela will meet your expectations!